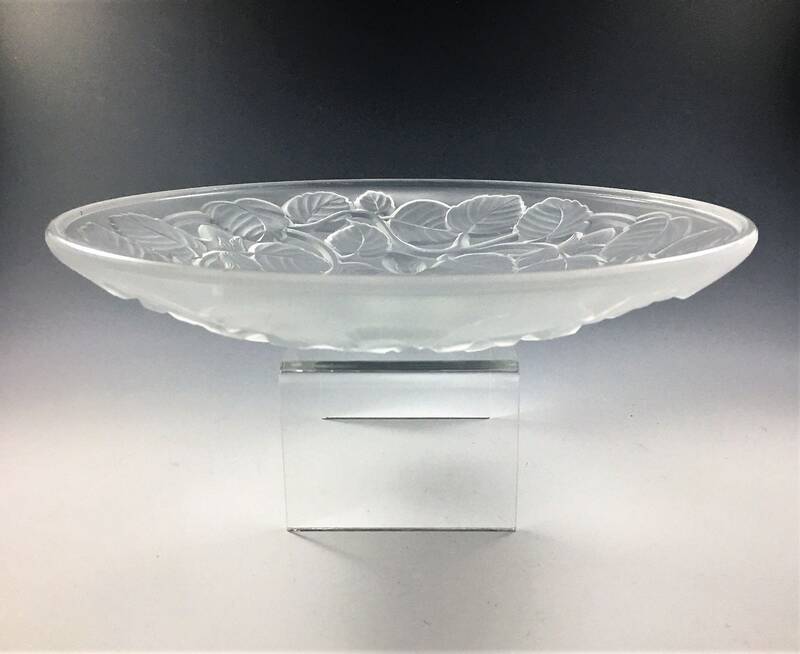 Featured is a stunning and hard to find art deco bowl from Arrers Glass of France. 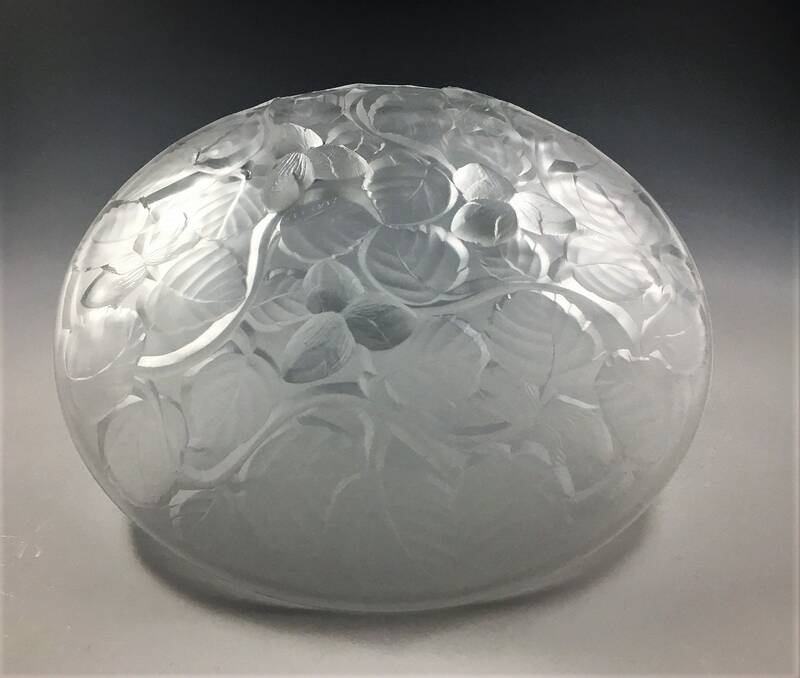 This frosted glass piece is from the 1930's and measures 9 1/2 inches in diameter. 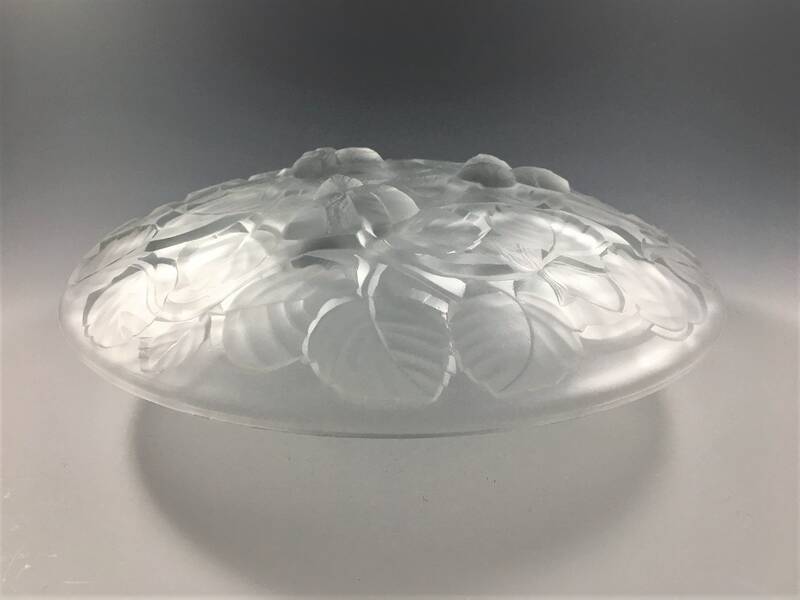 It's shallow, only about 1 3/4 inches tall sitting on its 3 feet. It's got a wonderful motif of intertwined leaves. 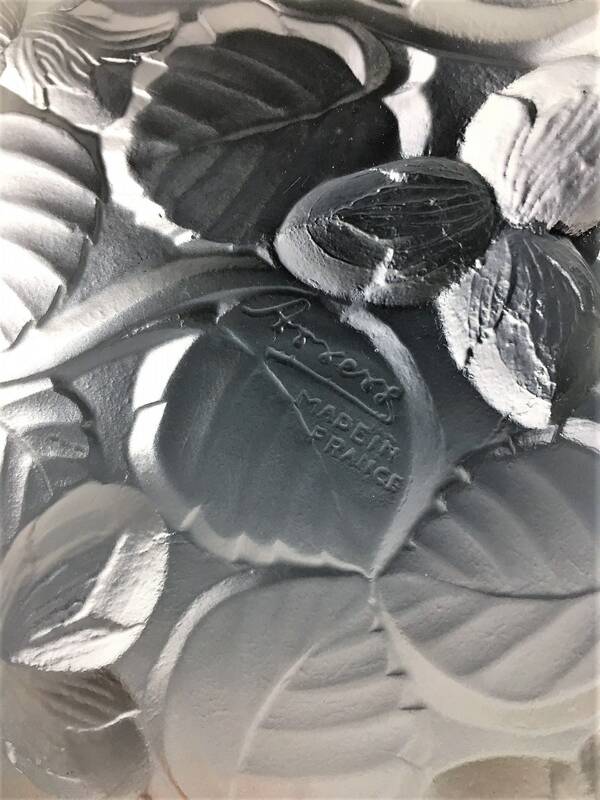 Signed clearly in the center of the bowl, "Arrers, Made In France." 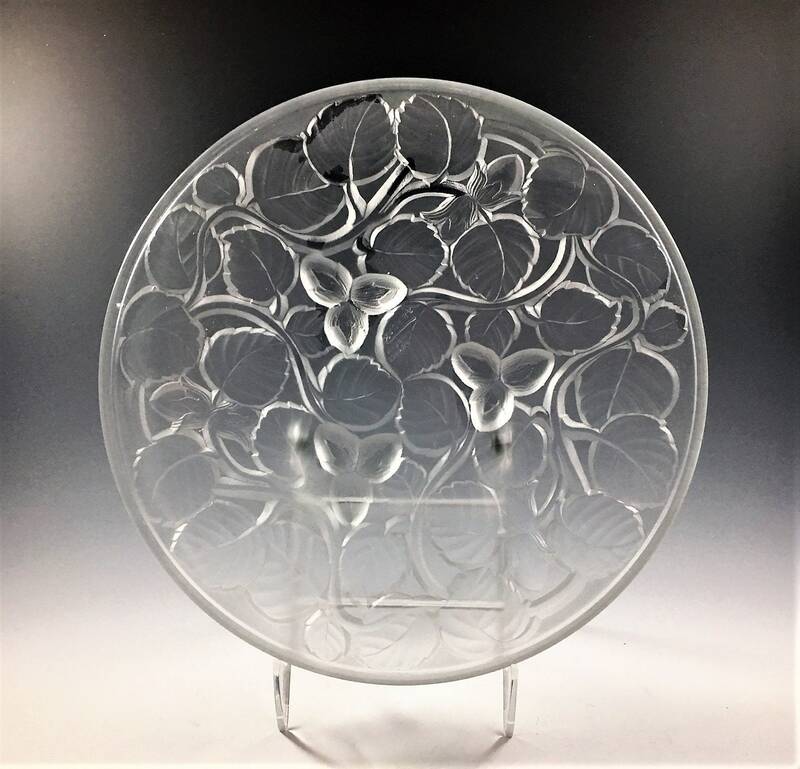 This piece is in excellent condition, free from any chips or cracks.